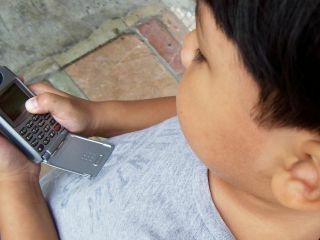 Radio frequencies used in mobile phones and other wireless devices pose a direct risk to health, especially among children and teens, a Swedish study has concluded. Professor Kjell Hansson Mild of Sweden's Örebro University told the Daily Telegraph on Monday that radio frequency (RF) signals used by mobile phone, Wi-Fi and Bluetooth technologies all had an effect. Mild claims that using devices that contain RF signals over an extended period of time can 'heat up' brain tissue and may cause cancerous tumours. The problem is particularly serious in mobile phones because the device is held so close to the head. This can cause tumours to develop in the ear and spread to the brain. Children and teens are said to be particularly at risk because they have thinner skulls and are still developing their nervous systems. Mild argues that many previous studies have dismissed the link between RF signals and brain cancer simply because they haven't been carried out for long enough. "I find it quite strange to see so many official presentations saying that there is no risk. There are strong indications that something happens after 10 years," Hansson Mild said. Mild also indicated that RF signals could even trigger Alzheimer's and Parkinson's. However the study did not name specific brands or mobile phone models as being better or worse than others.